September seems to have gone in a flash! I intended to take some photographs for Me & Mine last weekend, but Jim was unwell, and because it gets dark so early now (compared to the time Jim gets home from work) I considered skipping the family portraits this month because I couldn’t see any way to get a good one. But I figured, why let perfectionism be the thief of joy? 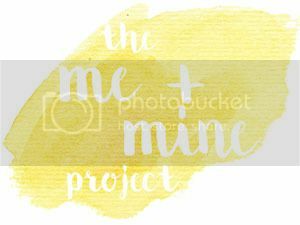 Joining in with the Me & Mine project is about several things for me, but most importantly it’s to ensure we have photographs of us all together, which I’m certain we wouldn’t have if it weren’t for this project. So here is September’s imperfect but real family portrait. Seeing our baby girl in so much detail at the anomaly scan; truly amazing. Having good friends to gossip and eat pizza with! Finding out she’s going to have a baby sister! Finding out he’s going to have another daughter! My growing family in September. Oh would you look at Rosalie’s smile!! What a gorgeous little girl she is, she completely steals the show!! Aw, thanks Carie! She just loved being in control of the remote shutter!